In his last interview, Marlon Brando (one of the most venerated people of the 20th century) of full age and wisdom, sat in his mansion on the hill, looking down on Los Angeles. The interviewer asked one final question, “Do you think mankind will make it?”. Brando looked sad, but almost relieved that his day was over. “No!” Brando answered. Taking this cue, at the end of an astonishing career, when Professor Stephen Hawking says mankind is threatened, then the world takes notice. And its not to say, it has not been said before by others. The holy books and holy men have been saying it for many thousands of years. Maybe we have become desensitised to their words. Logic and science in the present day, are our foundation stone. Todays populace has been brought up on that diet and so it reaches deeper, I guess. Three specifics threats and one more general statement. Also, in an earlier talk, he classified one more specific threat. Mankind is in danger and he would expect some catastrophic event to occur over the ages. An extinction level event has regularly happened every 100 million years or so in the world. This makes sense, as it is really a question of probability and statistical chance. The last time it occurred, the dinosaurs were wiped out. A catastrophic event is about due on Earth. So where are the possible dangers coming from. A) nuclear or similar world wide conflagration. 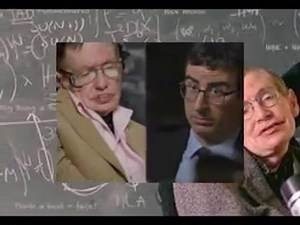 *The D point was stated by Hawking in an earlier discussion – the development of artificial intelligence “could spell the end of the human race”-, while the points A to C are in the Reith Lectures which Hawking made recently for the BBC. The above four points are not a catch-all and future developments might well see more threats appear in this world of ours. It is very ironic that all these four dangerous points are self created by humans. When science and technology advances, it seems always to be a double edged sword. Used within reason and balance, it is a great benefit to mankind. However, over use or emphasis and it tends to get out of hand, as we reach out for more than our due. This has ever been humanity’s story. We have allowed our greed, ambition and larger unawareness to create threats, which should not have been there at all. Professor Hawking remarked that technological advances, were taking humanity into one of the most dangerous time periods ever. So how are we to revert this danger of an existential threat to our future generations? Hawking thought the best chance of survival would be to colonise space. That is reverting to our past and core human behaviour. Whenever, what we have in hand is not enough, then we venture out and grab from others. Even the most celebrated mind today, cannot escape our programmed characteristics. Unfortunately, the truth is that at the moment we are at the edge of the science of space travel and surviving out there. This outlet could be hundreds of years away perhaps. So in this time we stand in great existential danger. Hawking describes himself an optimist, despite the perceived future dangers. Considering his tilt of mind and his great mental capacity, we are well advised to take this danger seriously. First we kill earth and then one planet at a time. We have already ‘assumed’ that we have seen a little kid on mars to confirm the theory of life on mars… sigh. Human brain where intelligent can be seen at its worst in this time with so much evil and destruction around.